By default set clock style on galaxy S10e lock screen and always on display settings. You can change galaxy S10e lock screen clock style under lock screen settings. Also change clock type and color for the clock you want to set in your Samsung S10e One UI 1.1 device. Set clock layout or change clock position on S10e lock screen. We already discussed about change clock style for lock screen and Always on display on S10 and S10 Plus Pie 9.0 devices. 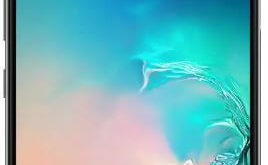 Follow below given step by step process to set or change galaxy S10e lock screen clock style or position in your device. You can customize galaxy S10e clock style for always on display and clock style using below given lock screen settings. 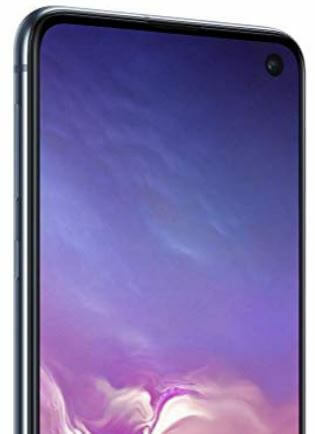 Samsung S10e lock screen settings includes screen lock type, Always on display, smart lock, clock style, face widgets etc. Here you can see always on display and lock screen options. In galaxy S10e lock screen clock settings, you can set S10e clock style and color. Step 5: Select Galaxy S10e clock style from available list you want to set. Also change clock color if you don’t like default color. You can change galaxy S10e Always on display clock style and Add GIF to AOD also. It’s quite simple to customize clock style in Samsung S10e lock screen and always on display screen. And that’s all. We hope this makes it clear how to change galaxy S10e lock screen clock style and always on display clock style. If you have any kind of trouble, tell us in below comment box. Stay and connect with us for latest Samsung S10e tips and tricks.